Welcome to our first day of Share the Love Week featuring the Felicity Collection by Pinkfresh Studio! From now until Friday the Talent and I will be sharing projects we've made using the Felicity Collection with w&w products and you will have a chance to play along too! From the moment I discovered Pinkfresh Studio I have been in love. Their designs are fresh, fun and delightful. I have had the chance to get to know Kinnari, the incredibly talented, generous and lovely lady behind Pinkfresh Studios and I love Pinkfresh Studio all the more because of what a beautiful person is behind it. At CHA I mentioned to Kinnari wishing to start up Share the Love again hoping to do a week featuring Pinkfresh Studio and she mentioned doing one focusing upon her Felicity collection and she could not have been more right as the Felicity collection works magically with w&w products. I started this card with cardstock stamped with the solid woodgrain from Scenery: Into the Woods in blues and green that I then cut out with the solid circle from True Multifaceted Circle Cutaways. I also added a circle die cut from vellum over the woodgrain circle. 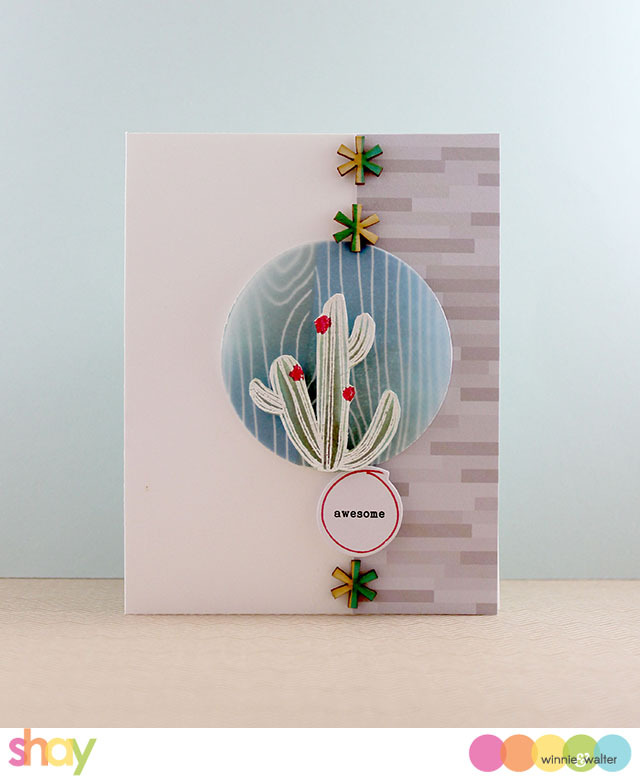 I stamped the older cactus from Kindness with Evelin T Designs in Versamark and embossed it in white embossing powder, cut it out and colored it in with Distress Ink and Copics on the flowers. It is adhered to the circle using foam dimensional adhesive. On a card front I added a strip of paper from the 6x6 Felicity paper pad. I adhered the cactus circle down and decorated the rest with color block wood stickers and one of the card stock die cuts as the sentiment added with foam dimensional adhesive. I die cut the Cover Model: The Leaf Effect Cutaway from vellum. 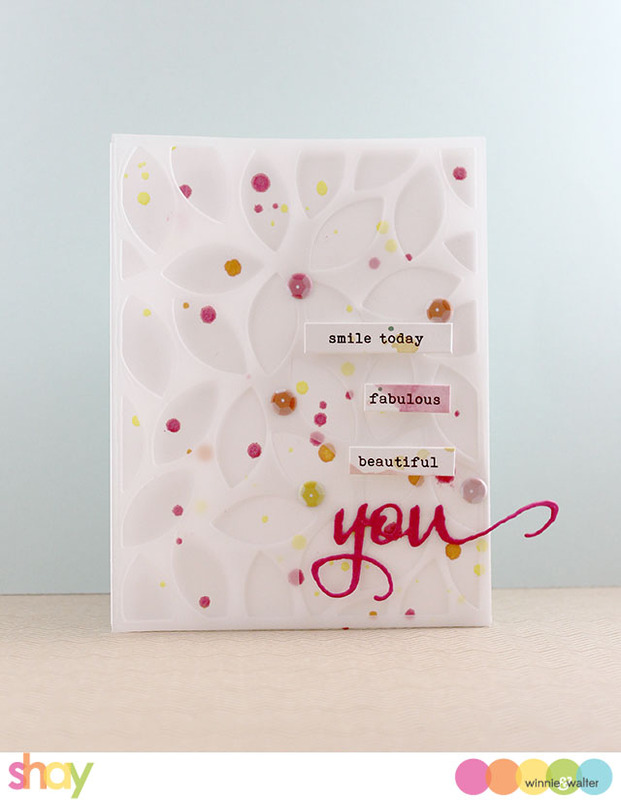 On a card front I added drops of Heidi Swapp Color Shine in pink, Mister Huey's in sunshine and buttercup and added the vellum layer over along with sentiments from the word and phrase stickers popped up with foam dimensional adhesive. I also added a die cut using The Big, the Bold and You Cutaways and a last touch of the really awesome sequin studio puffs. Now on to Heather Hoffman's stunning card! Create a new project inspired in some way by today's projects by Heather and/or Shay. This project can be combined with other challenges from w&w or elsewhere. Please post your project on your blog, on an online gallery, social media and link it up using the Link-up tool on this post. When you post your project please make sure to include which project inspired you and how. Fabulous makes, ladies! Cannot wait to see what else you have in store for us this week. Excellent mash up! Your cards are gorgeous! Can't wait to play...but was wondering if we need w&w to play? They are on my wish list! Shay!!! OH be still my vellum-lovin' heart!!! I'd love to stay and chat about all the gorgeousness you and Heather have provided - and OH there's plenty ... but a girl's gotta play!!! thanks! Beautiful cards featuring your collaboration with Pinkfresh Studio! I love how W&W's beautiful fonts go so perfectly with PFS's Felicity papers! Wonderful cards Shay and Heather. I'm inspired, so it's of to created some Love to Share. Love all these cards but the cactus is, well, awesome! Beautiful creations ladies!! Love all 3 cards!! Wow! I LOVE Pinkfresh Studio! Their products work so beautifully with Winnie & Walter too. Great design inspiration too. I can't wait to play along. Very unique and wonderful cards! Looking forward to the week. Oh how I love all of these!! I went to purchase the Felicity pad last week and it had sold out....darn it!!! But have a handful of Pinkfresh Studio papers so will play along. Pinkfresh Studio and Winnie & Walter, 2 of my favorite companies and a match made in heaven!! I'm inspired by all of the cards here and am working on a card to share! What beautiful cards! The vellum one really speaks to me! I love these cards. Very pretty. ABSOLUTELY FABULOUS and CREATIVE cards!!! LOVE your woodgrain & cactus Shay, when I 1st saw it, it was like looking through a window, the pretty paper and how you have aligned the stickers combine for great dimension. As for your MAGICAL card with the splatters peeking through the DELICATE vellum panel, WOW - I ADORE it ALL!!! I have never made a card like this before and feel SO INSPIRED!!! Heathers card is SO SWEET with the pretty layers and GORGEOUS golden heart & sentiment!!! These cards are darling! Thanks for sharing!! Great cards. Love the cactus image and the use of vellum on the other card. Excited to see the projects with this company's beautiful line. 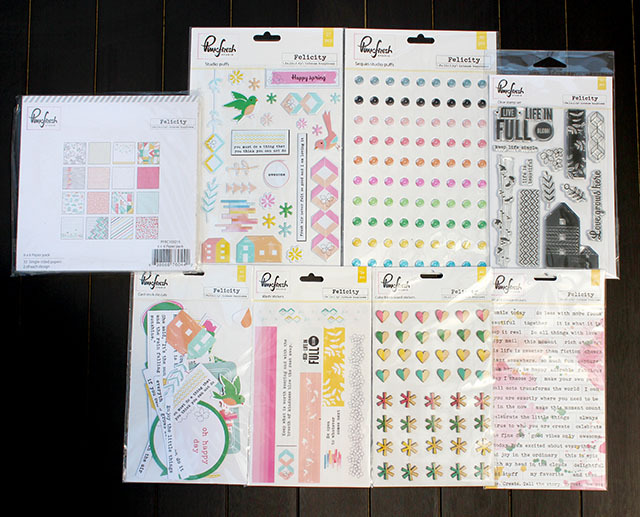 I only have some Christmas Pinkfresh products, but I love this collection, too! Beautiful cards & hope to play along! What great pieces to work with! I would have a hard time not making something with every piece. The cards are great! I love the second one with the velum so much!I must CAS that card! Beautiful cards & a great collaboration. And I LOVE your second card, Shay!! So, so beautiful! A match made in heaven - w&w dies and Pinkfresh sentiment stickers! Love your colors. Fabulous card. Fabulous cards - especially the one with the vellum and die cut leaves! Love the cactus! Great cards. What beautiful inspiration, love these!! Wowzers! These are beautiful! Can not wait to see more this week! I don't have any Pink Fresh products at the moment, but after seeing these collaborations with W&W, that is so going to change! Beautiful cards...crushing over every. single. one! Thank you for the inspiration! I love the card with the cactus. love the cactus card! thank you for the tutorial. W&W and PinkFresh is a perfect match. Another post of pretty cards! these are just beautiful! love the glittery heart! Oh my goodness what beautiful cards! Good job ladies, so pretty! Wow..All cards are so pretty and elegant! The white vellum card is.my favorite! Shay and Heather did some really fun cards with the Pinkfresh supplies. Great cards, really inspiring! You guys are just terrific! Such inspiring cards! Especially fell in love with Shay's card - love the white, die cut, the splatter - such a beauty! Great cards!!!! Love them all! Awesome cards! I especially love the first one - its simply CAS perfection! And the LOVE week - love it, too! I'll try to play along - what fun! What amazing cards - we get to see yet again how amazingly talented the DT is!! 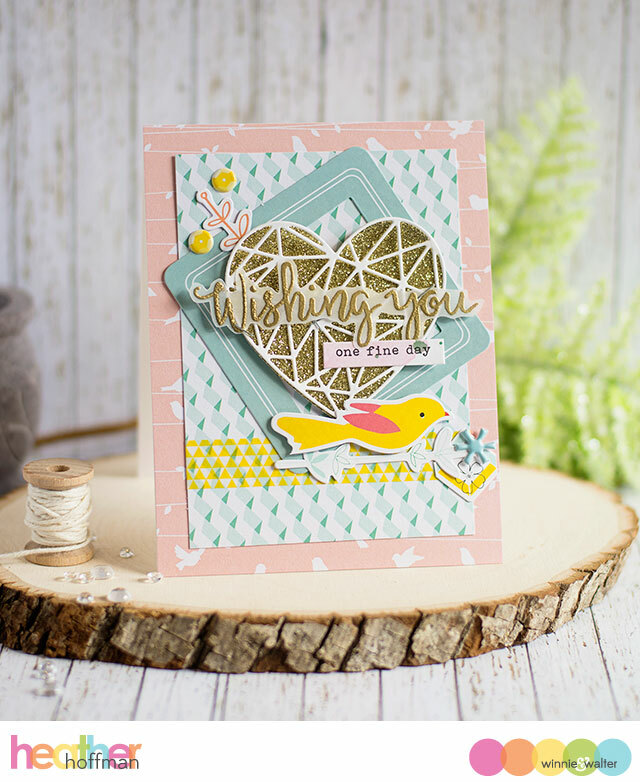 Wow, I love the look of that die cut vellum background on patterned paper! It's so creative. Thank you for this great and fun chance to win these amazing goodies!!!! These cards are fantastic!!!! Beautifully done, Shay and Heather! Thanks for the fantastic inspiration! Off to try out the die cut vellum over patterned papers! So many great ideas! Such pretty products and wonderful projects!! I am inspired!